Best Choice Home Inspections Blog with opinion, editorial and news posts. Best Choice Home Inspections Blog with opinion, editorial and news posts. Best Choice Home Inspections is now using the Phantom 3 Drone. A critical part of your home inspection is the roof, gutters and chimney. The Phantom 3 drone provides a closer look at roofs that aren’t accessible or cannot be walked on due to slope, weather or roofing materials such as tile, slate or wood shake shingles. We use the Phantom 3 drone camera to ensure every part of your home is inspected, even if we cannot put our own eyes on the area to be inspected. Best Choice Home Inspections is now using infrared technology. 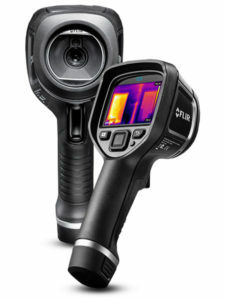 Infrared or thermal imaging cameras (colloquially known as a TIC) render infrared radiation as visible light. Best Choice Home Inspections puts this technology to use for you with dramatic MSX thermal images that clearly reveal problems from sources of energy loss, moisture intrusion and structural issues to overheating electrical components.